the artist’s singular vision and unique voice. 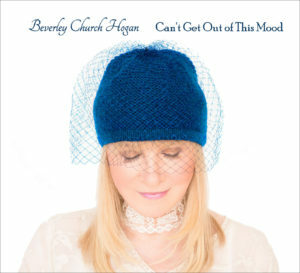 This CD is Beverley’s recording debut, although she has been singing for many years. She has selected ten outstanding songs, each related to people and events from her life. For this album, John Proulx leads a stellar group of musicians, including trumpeter Ron Stout, saxophonist/flutist Doug Webb, guitarist Graham Dechter, bassist Lyman Medeiros and drummer Clayton Cameron. I’m so proud to be the producer for Beverley’s long-awaited project.